FOOTBALL: Real Madrid manager Zinedine Zidane has only one selection dilemma for tomorrow morning's Champions League final - whether to play Gareth Bale or Isco. 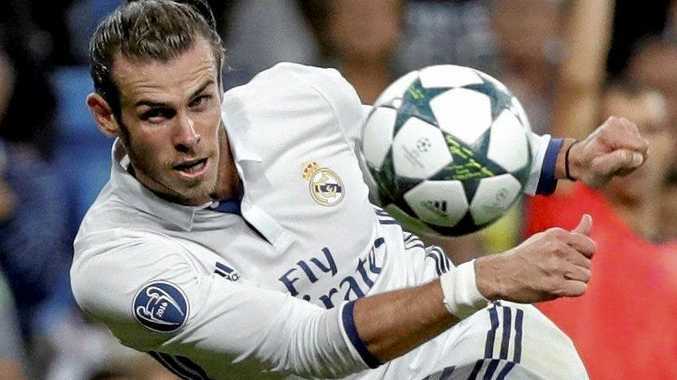 Welshman Bale, who has not played since April 23, would be playing on home soil at the Principality Stadium in Cardiff. He is fit but Spanish star Isco is in form and has scored five goals in his past eight games. "They're both very important players and everyone can give their opinion but it won't influence me," Zidane said. Juventus boss Max Allegri also has a fully fit squad to choose from. Veteran goalkeeper Gianluigi Buffon, Giorgio Chellini, Alex Sandro, Mario Mandzukic and Leonardo Bonucci were all rested for the final Serie A game of the season against Bologna last week, while Dani Alves was suspended. Former Real man Sami Khedira played in that game and is now expected to play in Cardiff after returning from injury. Buffon, 39, has never won the Champions League and would love to cap off his unbelievable career. "It would mean a lot for me," said the veteran, who has won 168 caps for Italy. "It would be the greatest joy of my career, together with the World Cup, because it would almost be a reward - the end of a very difficult road paved by bravery, stubbornness and hard work." Superstar Cristiano Ronaldo said there was no pressure on the Madrid players as they attempt to defend the Champions League title. "Winning the league helped calm us down a lot," he said. "We want to make history and be the first side to defend our title. "I'm at the best level physically as I have in the last few seasons because I have played less. It is down to the intelligence of Zidane and my teammates."